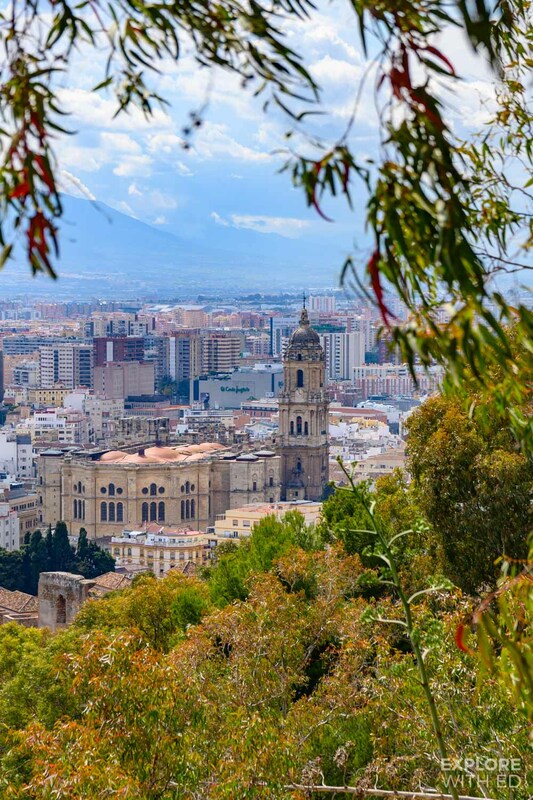 Located on Spain’s Sunshine Coast (the Costa del Sol), the city of Malaga dazzles with its historical sights, parks and charming Old Town. 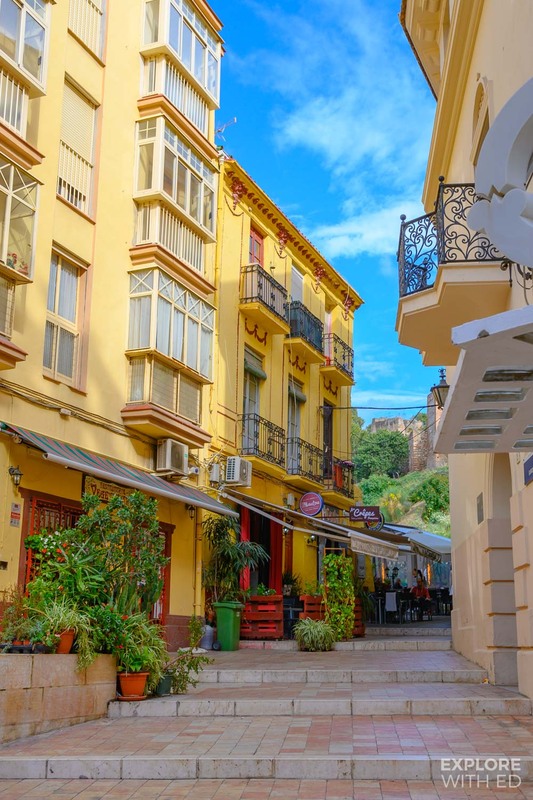 A walking tour of Malaga is one of the best things you can do with your camera, there’s so many photo spots every step of the way. 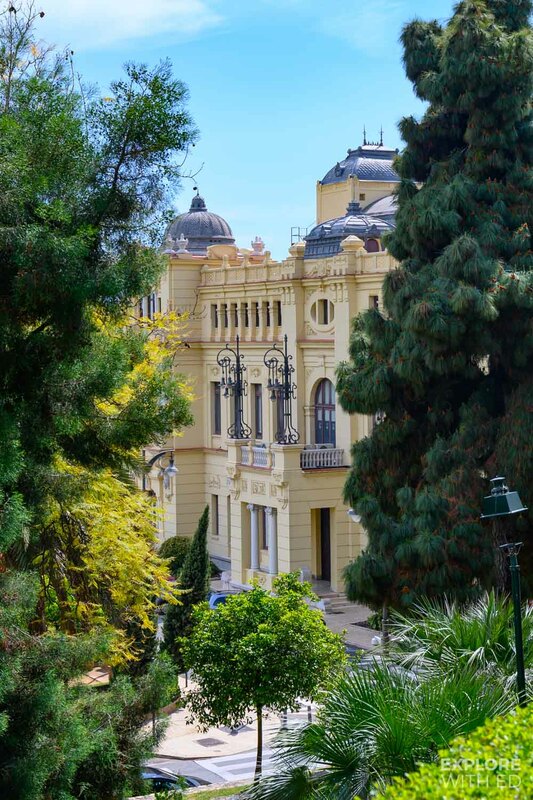 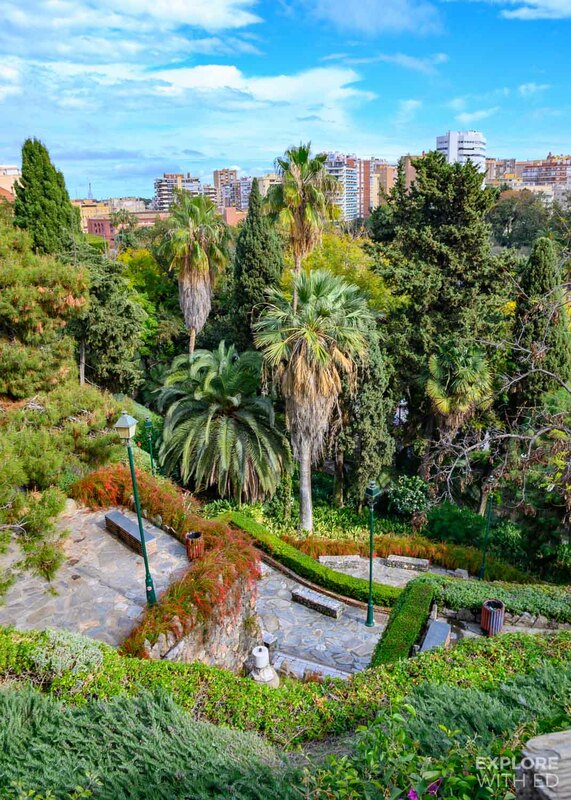 Malaga Park is like stepping into a tropical island, the densely packed trees shelter you from the hot sun and a sweet perfume laces the air from the Botanical Gardens, particularly in the spring. 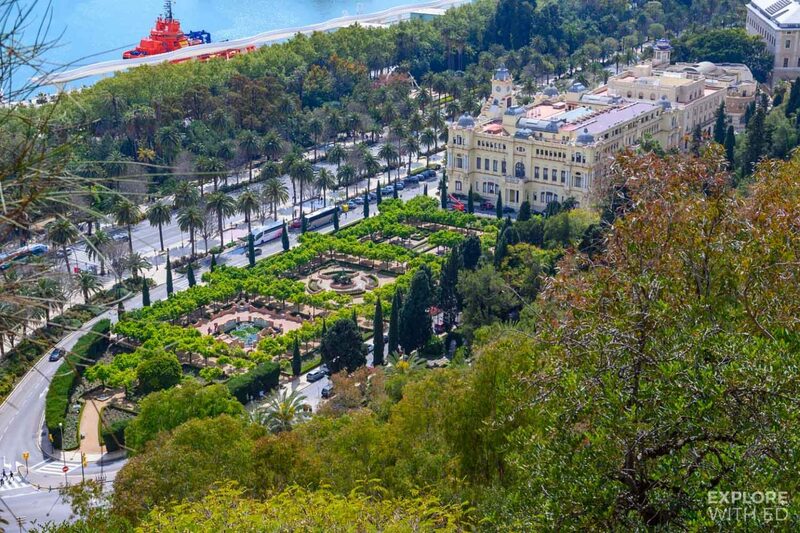 Across the road is the gardens of Pedro Luis Alonso near the Town Hall, the gateway for an uphill walk to the Castle of Gibralfaro. 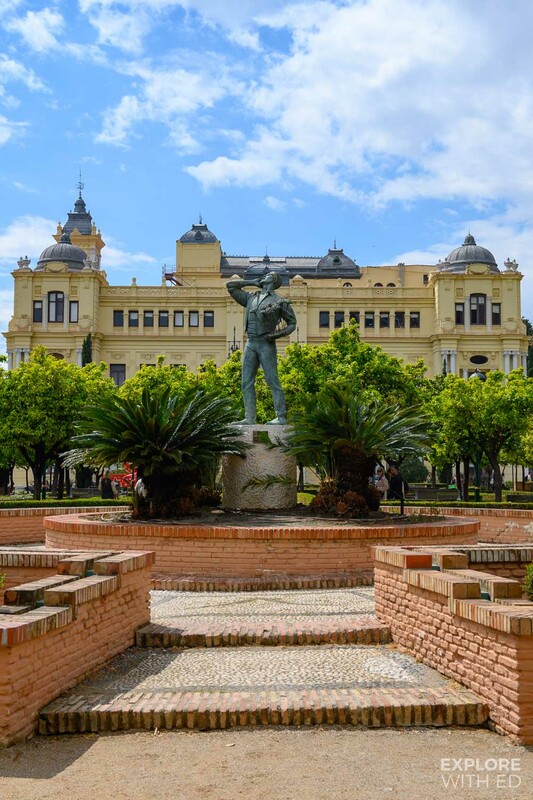 The vibrant colours, fountains and monuments are all so Instagrammable – you could easily spend an hour or two here filling up your feed and stories. 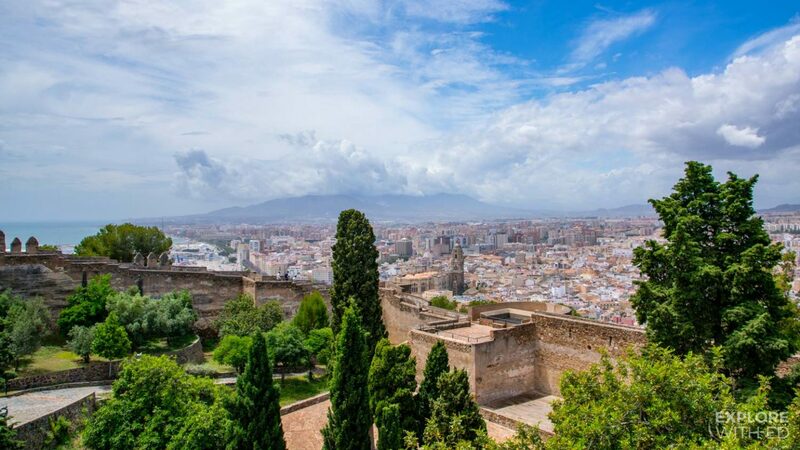 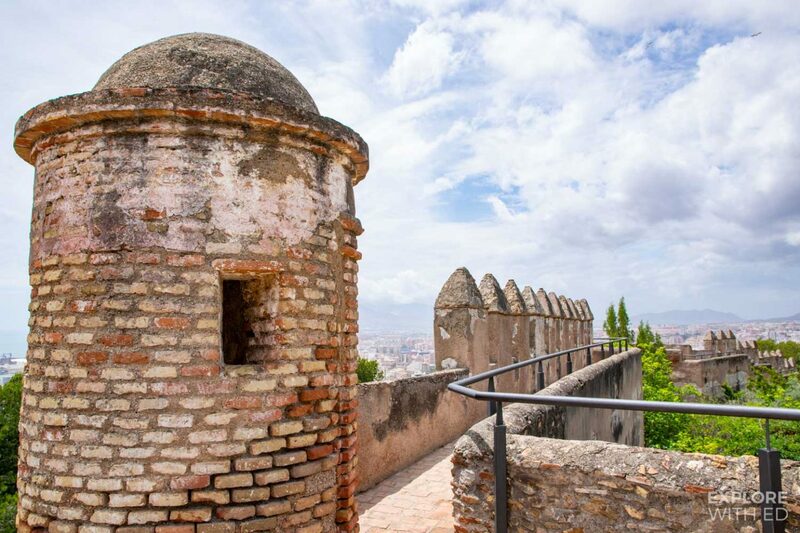 Malaga’s Moorish Castle is in ruin, however walking along the narrow fortress walls is like floating above the city with 360° views across to the mountains, cruise ship port and beaches. 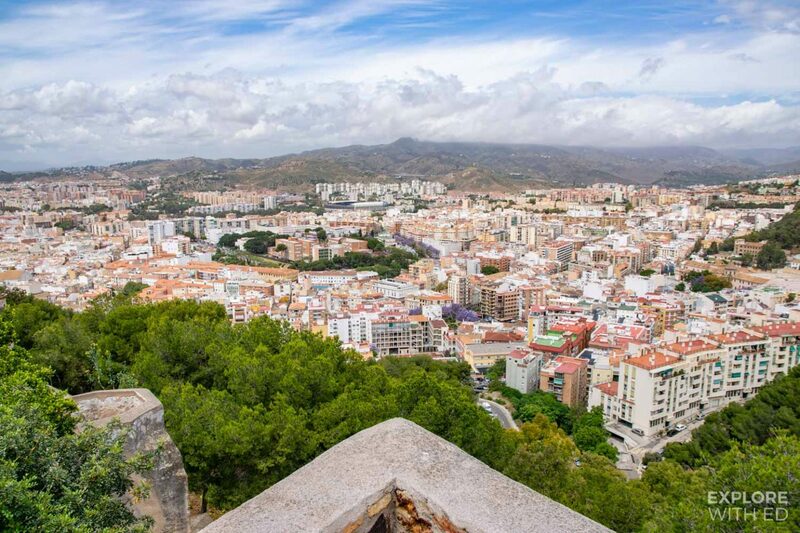 Step inside a turret and strike a warrior pose for a fun snapshot to print and frame, or shoot wide for the most epic panoramic shot of the city below. 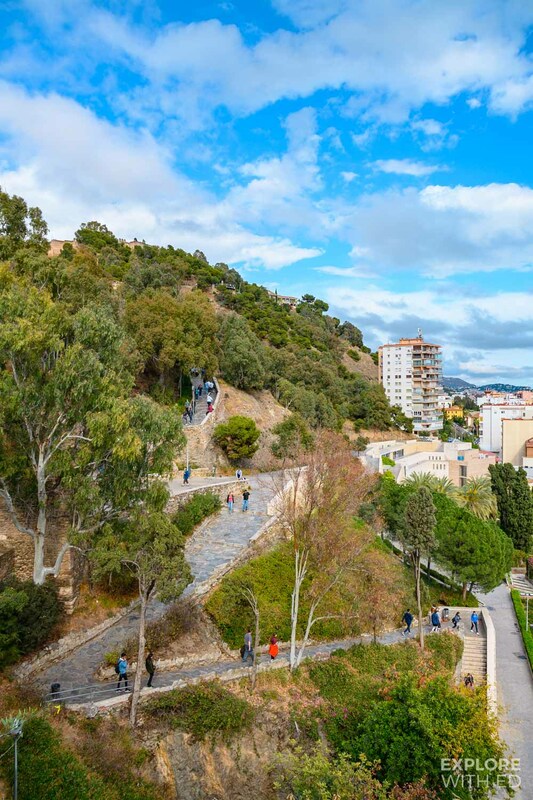 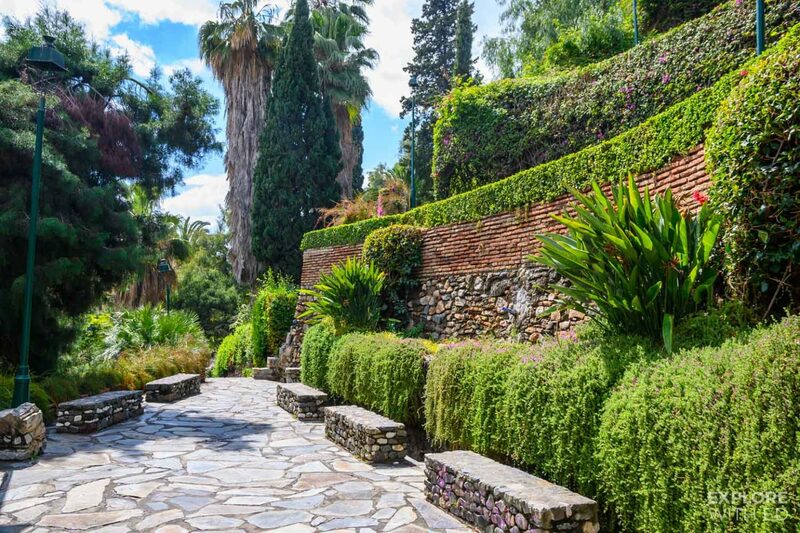 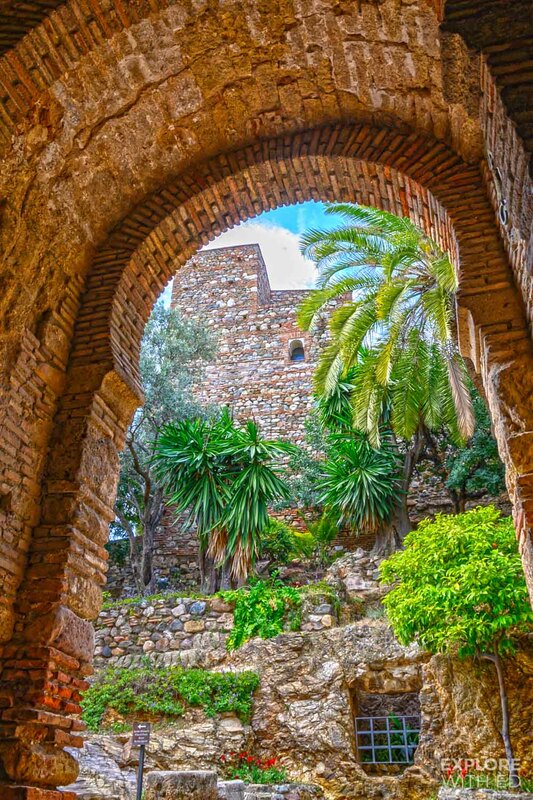 Descending the hillside towards the city you’ll find another historical sight worth capturing, Malaga’s Medieval Fortress named Alcazaba. 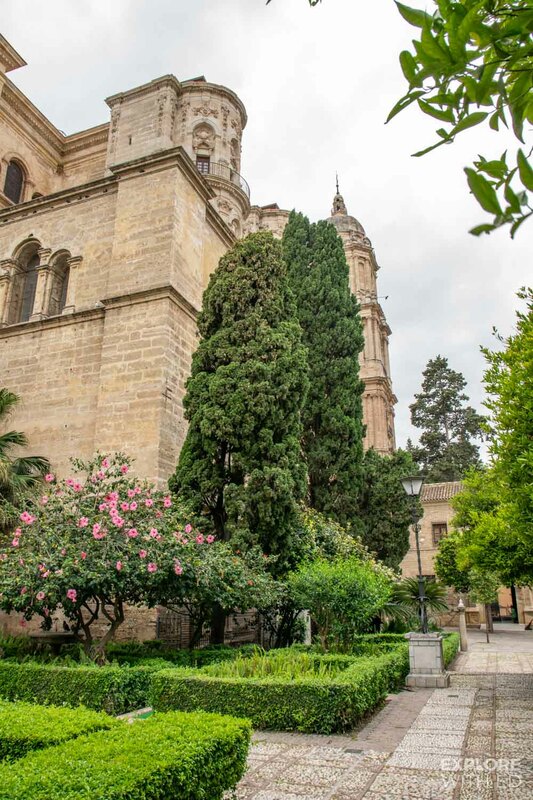 The gardens have been beautifully kept – orange trees and flowers guide the way inside the castle walls and the Arabian influence is particularly evident inside the courtyard and stone arches. 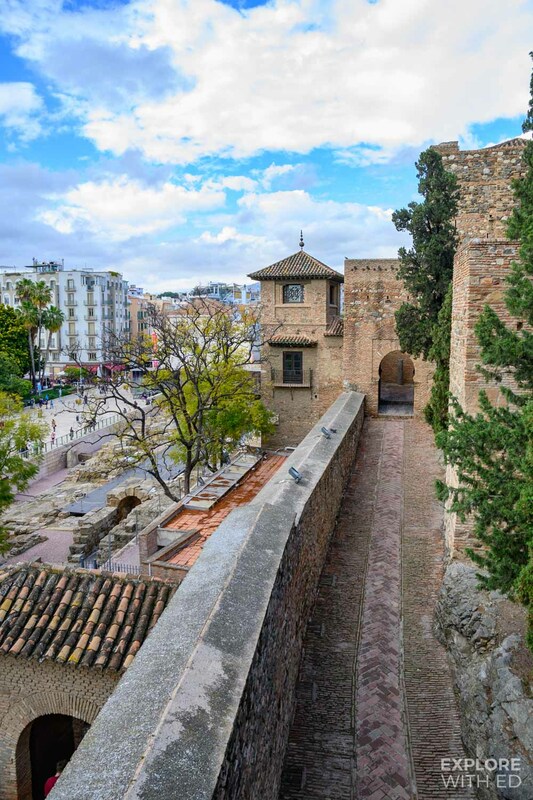 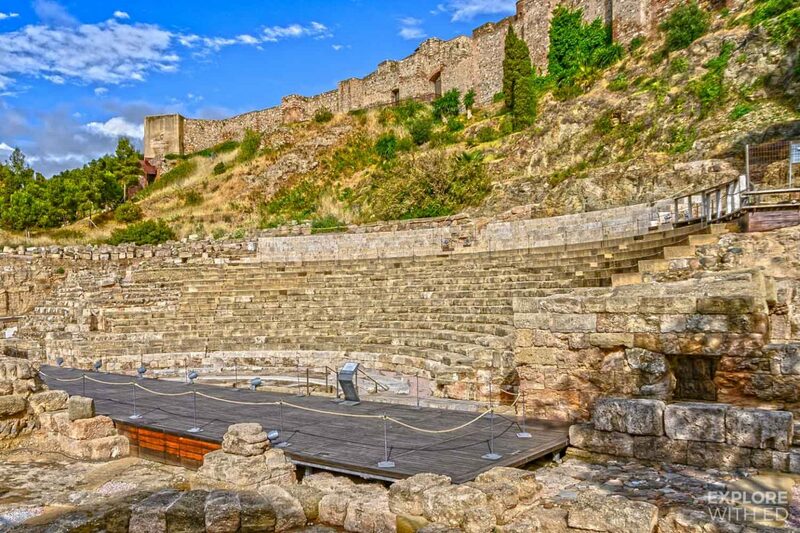 Next to Alcazaba is the Roman Amphitheatre, constructed in the 1st century AD. 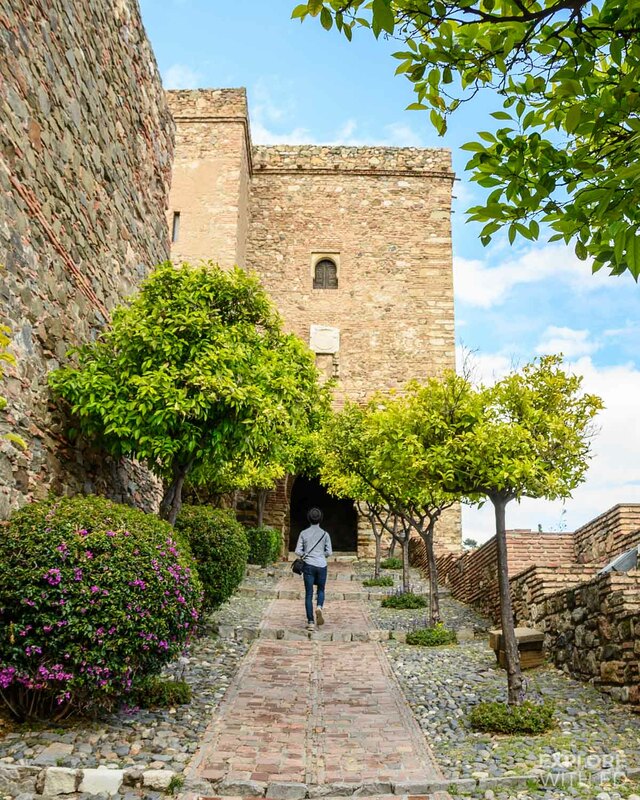 Though not as pretty as the floral gardens and views we’ve just explored, it’s one of those sights you’ll want in your camera roll for its historical significance, plus the soaring fortress walls of Alcazaba behind it look very impressive. 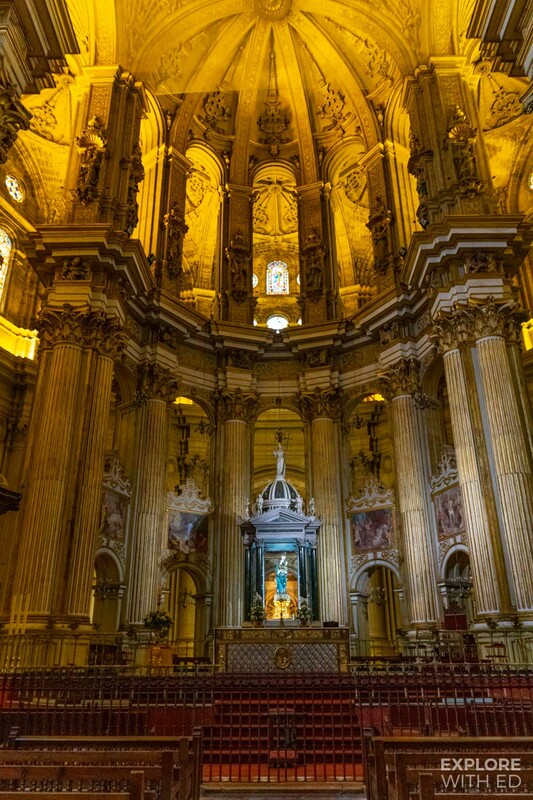 Malaga Cathedral is a stunning piece of architecture to photograph, both inside and out were designed in a Baroque and Renaissance style. 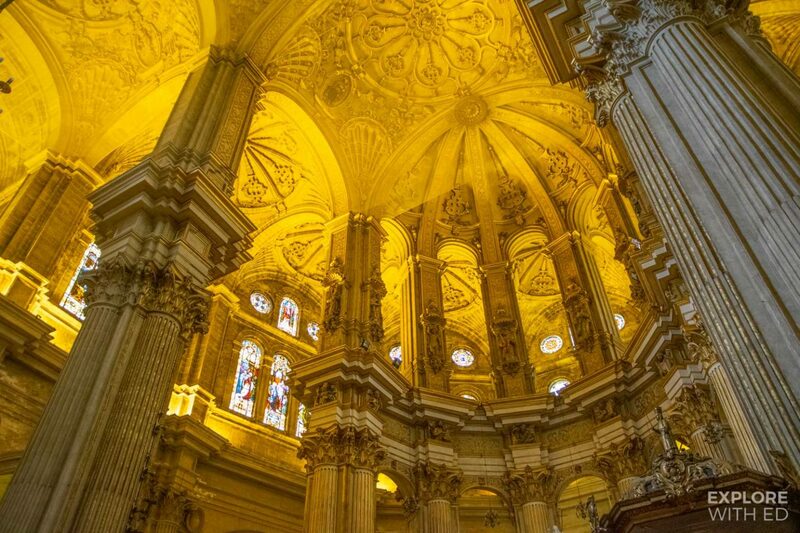 The choir stalls were expertly carved by Pedro de Mena and huge pieces of Biblical art line the walls beneath a beautiful golden ceiling. 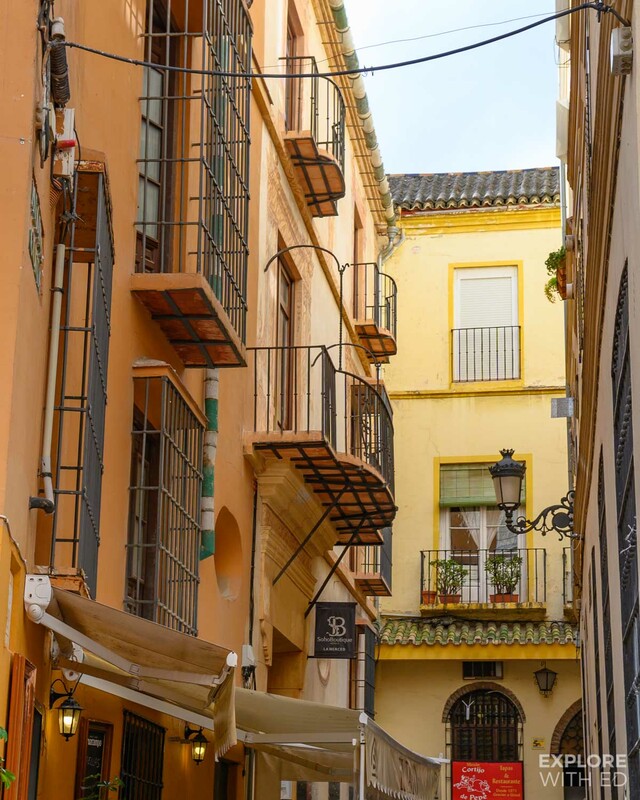 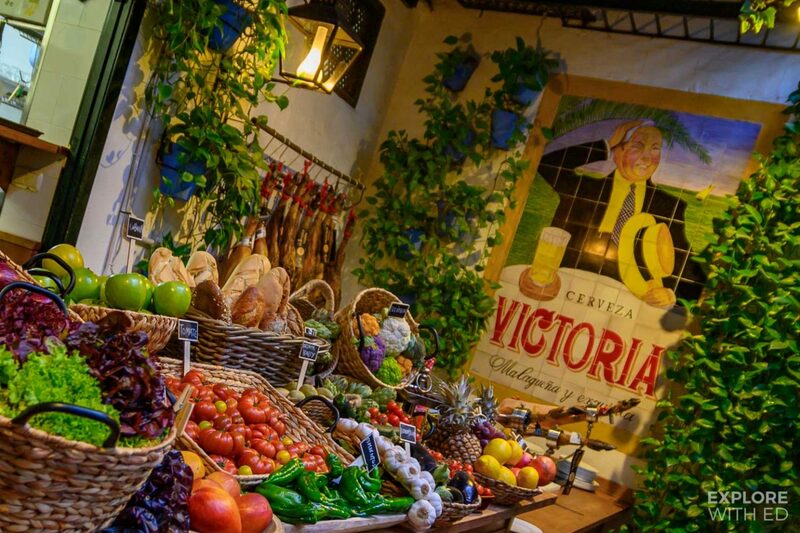 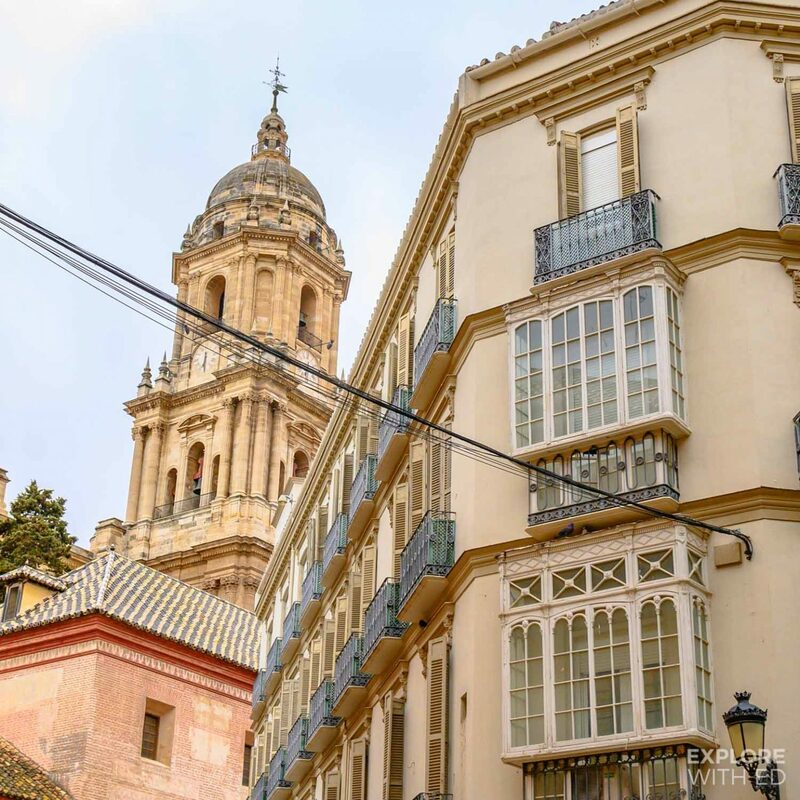 The citrusy scent of the parks and gardens transition to the smells of fresh tapas, grinding coffee beans – I could go on… The Old Town side streets are a photographer’s (and foodies) dream with charming restaurants, patios and courtyards overlooked by Juliette balconies. 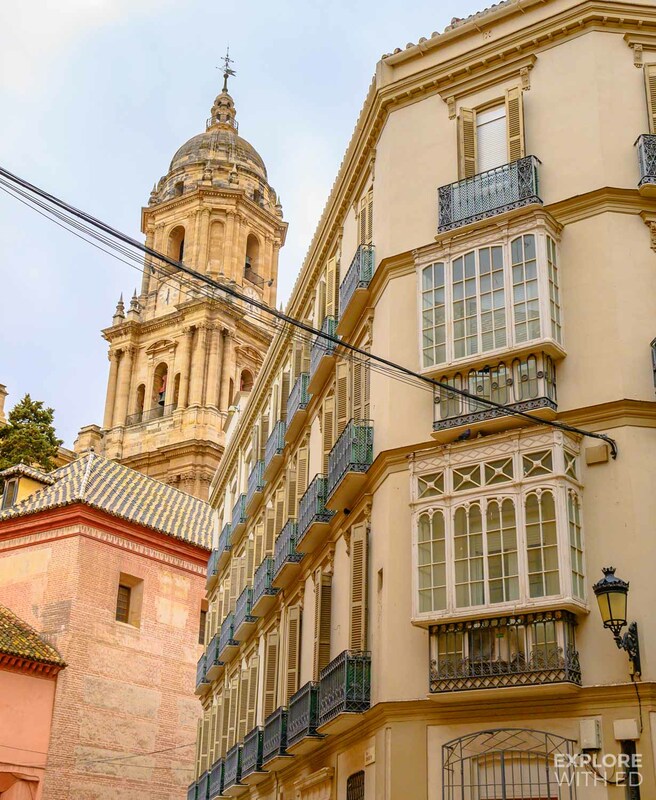 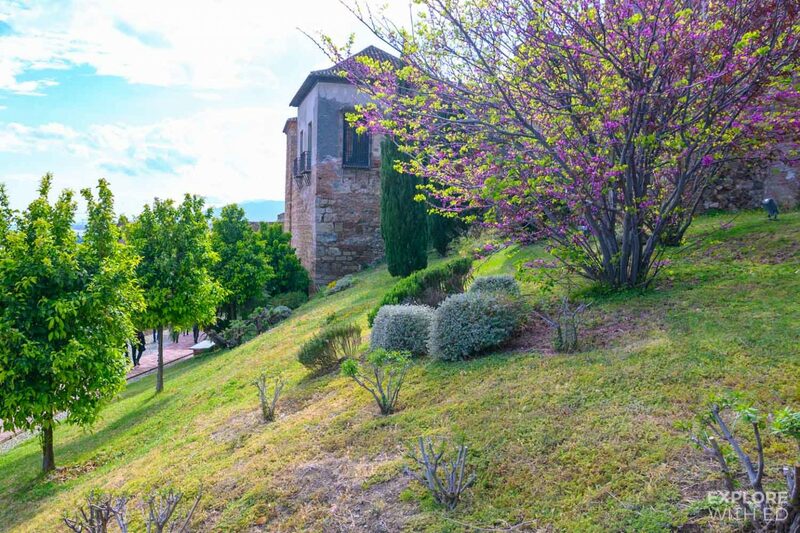 As the birthplace of Pablo Picasso you’ll also find a museum dedicated to the artist, as well as a small church where he was baptised containing some elaborately dressed statues.